By ‘scientist’, he means, ‘melt and explode things’… the backyard part is accurate. Although his backyard is probably nicer than yours. Apparently salt melts. Better yet, when you take melted salt and introduce it to a fish-tank full of water, you get some homeless fishes. This is why they stopped selling melted salt at Sea World. 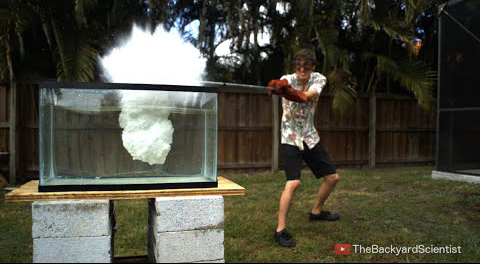 The guy racks up millions of views destroying things in the name of science. Well done, sir. Well done. 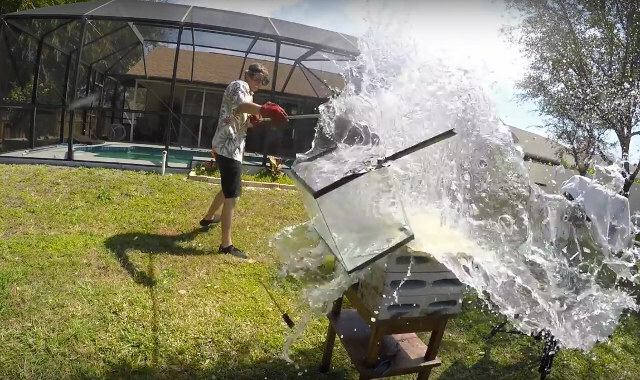 Here is a selection of some of his other interesting videos… because… SCIENCE!